During weeks six to 12 of any pregnancy, the Midland Fertility ‘See My Baby’ pregnancy scan service can offer 2D reassurance scans. However, See My Baby will not carry out any measurements, or standard checks that are a part of routine NHS scans. For Midland Fertility assisted conception patients, the scan service offers continuing reassurance about the progress of the pregnancy, in the familiar environment of the clinic at which they have received treatment. For other patients, the service provides reassurance in a discreet, easily accessible unit, with flexible appointments. And remember – welcoming a new baby can be a family affair and so up to six members of the extended family (eg grandparents-to-be and siblings) may also come to the scan. 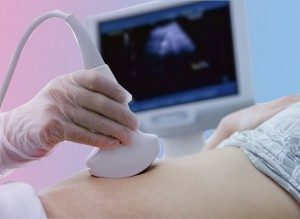 Pregnancy scanning at Midland Fertility does not replace NHS ante-natal scanning, but is available as an additional chargeable service to all patients and clients.